Producer: M.V. FOODS Ltd., Lviv, Ukraine. 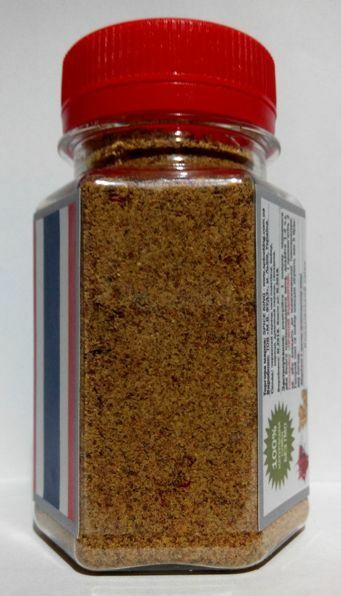 Ingredients: Red Hot Chili Pepper flakes, Ginger ground, Cinnamon ground, Allspice, Cloves. How To Use: warm up 1 bottle of red or white semisweet wine, add 1-2 teaspoons of Spicy Indochina Glintwein and boil 2 min. or just bring it to a maximum temperature. 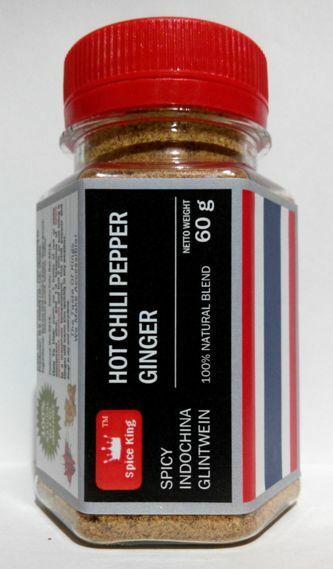 Hot chili pepper and Ginger will warm you quickly in any weather. 100ml PET jar - 60 grams net weight - USD 1.70/jar.